As we move into spring through the southeast and the weather turns from mild to hot. afternoon storms become the norm. While most afternoon storms will be a welcomed cool shower with a scattered clap of thunder. the chance for that sudden storm producing hail and heavy wind is ever present. When that happens finding the right roofer can be like rolling the dice and hoping for a lucky 7. 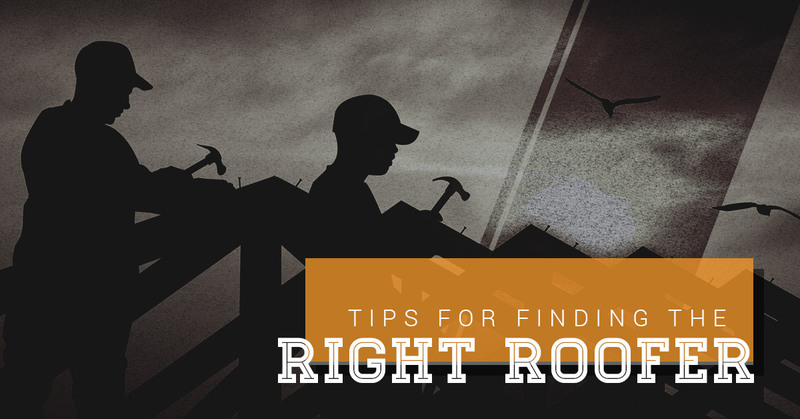 The right roofer could be more difficult to find directly after a storm event than ever before. Why? As hard as it may be to believe there are many roofing companies that are actually traveling organizations that “Storm Chase” (set up shop in an area that has been hit by a storm and leave when the bulk of the need is filled). Its not to say that all of these companies are sub par but they are not doing business regularly in your community and may not be around if you encounter a problem down the road. Worst case scenario is they ask for a down payment and never show up to do the work. THIS HAPPENS! Why take a chance? These types of companies will normally account for roughly 50% of the roofing in the first month following a weather event. You will also find some local start up companies in the mix to earn your business. This can be a quality option. The key is to do your research on the start up guys, check their back ground, work history, financial status and standing with the local roofing material supplier. The biggest red flag with the start up companies is asking for a partial payment to “buy material” JUST SAY NO. Your roofer needs to have the financial wherewithal to buy the material and pay for the labor .